I do have a large stash of Melody Miller prints. I admit to it and I also admit that I should be doing more with my stash other than stroking it. 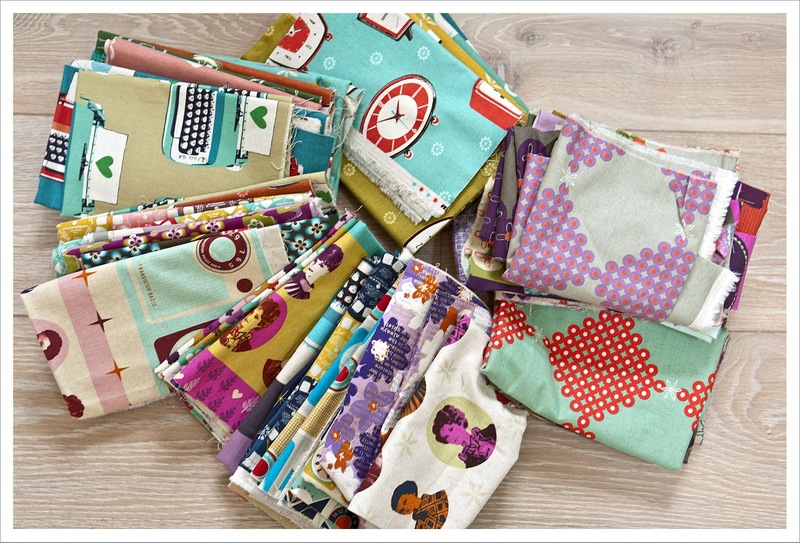 To be fair, I made several bags and also one gorgeous quilt with Ruby fabric but I could do more. 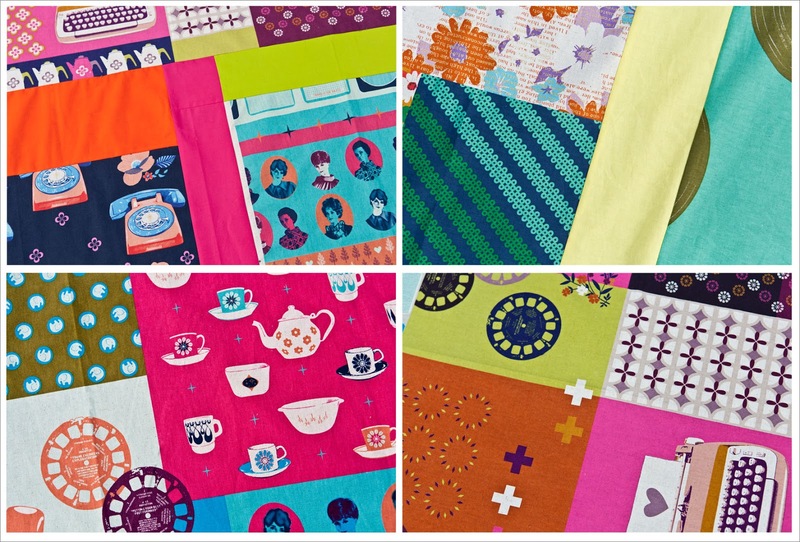 So the other day when I unpacked my Melody Miller treasures I decided to start a new quilt made entirely of her fabric with a few bright solids added for good measure. Oooooh! This is going to be gorgeous! And really, what better use for all of those fun MM prints than a happy quilt. Is this one you'll be keeping for yourself? It's going to be s beauty! I shall be watching this with interest as I have somehow committed to a Melody quilt for my favourite sister - I promised it some months ago and have been too busy with other projects to start it - or so I keep telling myself! !